We wrote a blog back in April stating the disregard the brass took in approaching this year’s salary structure. The worst part about it was that it didn’t culminate into a World Series Birth. Matt Kemp was one of the many ex-players the franchise severed ties with – but were on the hook for. The $117 MIL in wasted money would have finished near the middle of the pack for total team salary. The club suffered nearly $87 MIL in retained salary – meaning paying other players to play for other clubs. If that weren’t enough, they ate $20 MIL more in Disabled List guys (some of it predictable self-inflicted by the team picking up oft-injured guys). The kicker was the $10 MIL more the team paid for guys buried in the Minors. At $117 MIL for wasted cash, that would have put them near the middle of the pack for total team payroll as it was. Seriously, this team had nothing to show for this. Add in another $50 MIL as a cause in result from these sectors (going over the Tax), and it is a $167 MIL fiasco. Sure the Los Angeles Dodgers can afford it with their exorbitant income drawn from Television revenue, however ownership can’t be pleased by the direction. Yes, 2016 looks a little bitter towards the final kitty. That would be the saving grace of the top dogs that run the club. They will probably cut ties with Bronson Arroyo, which will call for a $4.5 MIL Buyout. Chase Utley is as good as gone – with a hefty $15 MIL price tag on a Team Option- since he fell short of Vesting with over 500 Plate Appearances. I expect the team to pick up the other low risk Club Options in Brandon Beachy ($3 MIL) and Joel Peralta ($2.5 MIL). This team is still staring down a team salary of $175 MIL on just 10 players. With some guys eligible for raises in Arbitration – any spending on Free Agent will result in going over the Luxury Tax for a 4th straight campaign, pushing the Luxury Tax penalty to 50% of ever dollar over the $189 MIL mark. Again, the Dodgers haven’t been scared off of this yet, however with the new CBA coming in for the 2017, one can not be so cavalier about blitzing this total out of the water. New rules could heavily enforce on franchises over spending on the limit. The current brass is well versed in operating on shoe-string budgets in Tampa and Oakland being their experiences before, but this will still provide a massive challenge for a club trying to win a championship. Zack Greinke walked away from 3 Years/$75 MIL left on his deal, and may be able to garner a deal similar to what Max Scherzer netted last offseason. If the Dodgers buck up that kind of dough, it will push their two top Starters to make well over $60 MIL per year. Zack Greinke could be retained if the team goes into an entire youth movement. This would mean a couple of more years to finally hover under the Luxury Tax, but it could be done. The team could pull off some trades midway through the 2016 season, but they may involve dealing a quality First Baseman like Adrian Gonzalez, who could grant the team the best salary relief possible. Nobody will likely set a foot anywhere near Carl Crawford and his $21 MIL+ contract. I am giving the GM Andre Friedman credit for sticking with his youth last season. His position players will help alleviate some of the costs for future years spending. Joc Pederson, Corey Seager and Yasiel Puig are all under team control pretty much until the turn of this decade end, so the team should be competitive even if in cap hell. The problem is with the surrounding cast to premiere pitcher Clayton Kershaw. The onus will lie on the management to develop and cultivate their own talent in the Minors – to help ease the burden of the Free Agents coming in with team controllable pplayers. In upcoming years, the club loses the albatross contract of Carl Crawford, Andre Ethier and Adrian Gonzalez as well. Clayton Kershaw – SP (27): Kershaw will make $34.6 MIL in 2016, and will make nearly the same clip through 2021 each season. The LHP also has an opt out clause after the 2018 year at age 30, but that would mean forfeiting a guaranteed $105 MIL from 2019 – 2021. Adrian Gonzalez – 1B (33): The proven veteran will earn around $22 MIL per season the next 3 years consecutively. It is my belief the team should try to trade him while he has value. Carl Crawford – OF (34): With his best days long behind him – CC makes $21.6 MIL this upcoming year and $21.9 MIL in 2017. No team is likely to come calling despite any efforts for the club to dangle him as trade bait. Andre Ethier – OF (33): A nice bounce back year makes the $16 MIL in 2016 and $18 MIL in 2017 not as tough to potentially stomach. The Dodgers have a Team/Vesting Option for 2018 at $17.5 MIL. The team will make sure he doesn’t hit that and pay the $2.5 MIL walkway stipend at that point. Brandon McCarthy – SP (32): The often injured Starter will earn $12.5 MIL in 2016 before raking in $11.5 MIL for both of the 2017 and 2018 campaigns. Is coming back from Tommy John Surgery in 2015 – and may not make much of a contribution in 2016. Hyun-jin Ryu – SP (28): Coming back from a labrum shoulder surgery in his pitching arm, Ryu makes $7.8 MIL for each year from 2016 – 2018. Not sure how much he will be able to pitch next year, but he is expected back for Spring Training. Count on him to log some innings in 2016. Yasiel Puig – OF (24): The Cuban OF has a salary of $7.2 MIL in 2016, and will receive a Million Dollar increase for both 2017 and 2018. Puig may be the difference between the club competing for a championship or not. Total Money for this Category – $122 – $123 MIL Total Team Payroll. Bronson Arroyo – SP (39): $11 MIL salary for next year – or a $4.5 MIL Buyout. NO brainer – seeya Arroyo. Brandon Beachy – SP (29): $3 MIL Team Option. The team may decide to keep this guy for depth. He is a reclamation project with being a two time Tommy John Surgery recipient. Joel Peralta – RP (40): Friedman traded for this Reliever and loves him despite his age. Not much of a gamble at $2.5 MIL for the upcoming season on a Club Option. J.P. Howell – RP (32): The Player holds the Option on this one at $6.25 MIL, and he may very well opt out. He had a fantastic year in 2015 (1.43 ERA in 65 Appearances in 2015). Whether they have to re-sign him or not, bet on that base salary of $6.25 MIL to be applicable in 2016 either way. Scott Van Slyke – UT (29): Look for a deal around the $1.5 MIL clip. In this category, Joe Wieland – 25 (SP) and Juan Nicasio – 29 (RP) both fall in this 2nd year eligibility mode. I expect only one of them to be retained, and that is the cheaper Wieland. Nicasio is a perfect non-tender candidate. Justin Turner – INF (31): Look for him to double his 2015 money at $2.5 MIL with a near $6 MIL one year pact. Justin Ruggiano – OF (33): Nice September may have earned him a job for 2016. Probably need a $3 MIL one year deal to secure it. A.J. Ellis – C (34): He made $4.25 MIL in 2015 and may be brought back, but then again they could go cheaper and younger. Chris Heisey – OF (31): Another example of a non-tender guy. 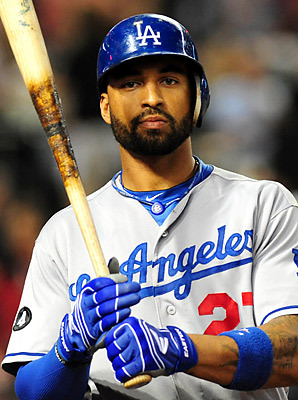 Matt Kemp – 32 (OF): From 2016 – 2019, Kemp will be paid $3,5 MIL per season to play in San Diego. Total Money for this Category – $12 MIL. Total Team Payroll now sits at $176 MIL to $177 MIL. Alex Guerrero – LF/3B (28): Guerrero makes $7.5 MIL for the next 2 years each whether he is with the big club or in the Minors. Erisbel Arruebarrena SS (25): Killer on the payroll to dole out this player $5.5 MIL for both 2016 and 2017, while upping that mark to $6.5 MIL – when he is off the 40 Man Roster currently. Jose Tabata OF (27): His salary is paid for by the Pirates this year. There are Club Options on this player from 2017 – 2019, at $6.5, $7.5 and $8.5 MIL respectively for each year, or just a $250K Buyout each season. Expect the latter to occur, although I highly suspect he will be given a chance in the Majors in 2016. Total Money for this Category – $14 MIL. Total Team Payroll now sits at $190 MIL to $191 MIL. Alex Wood – SP (24): Is Arbitration Eligible from 2017 – 2019 and is a Free Agent in 2020. Lisalverto Bonilla – RP (24): Is Arbitration Eligible from 2018 – 2021 and is a Free Agent in 2022. Chris Hatcher – RP (30): Is Arbitration Eligible from 2017 – 2019 and is a Free Agent in 2020. Carlos Frias – SP (25): Is Arbitration Eligible from 2018 – 2020 and is a Free Agent in 2021. Joc Pederson – CF (23): Is Arbitration Eligible from 2018 – 2020 and is a Free Agent in 2021. Pedro Baez – RP (27): Is Arbitration Eligible from 2018 – 2020 and is a Free Agent in 2021. Enrique Hernandez – INF (24) Is Arbitration Eligible from 2018 – 2021 and is a Free Agent in 2022. Corey Seager – SS (21): Contract Status Not Updated Yet. Is Probably going to be Arbitration Eligible in 2019 – 2021, and would be a Free Agent in 2022. Jose Peraza – 2B/CF: Contract Status Not Updated Yet. Is Probably going to be Arbitration Eligible in 2019 – 2021, and would be a Free Agent in 2022. Total Money for this Category – $10 – $11 MIL Total Team Payroll now sits at $200 – $201 MIL. This team needs to sign 2 or 3 Starting Pitchers that are at least #2 and #3 Pitchers. That should cost about $30 MIL in 2016. A Second Baseman is also needed, and they could be players on a guy like Daniel Murphy or Ben Zobrist. They may even re-sign Howie Kendrick. This is why Zack Greinke returning is so in question. If they ink him, the payroll would hover well over $260 MIL. As it sits right now, I would project a team salary of $240 – $250 MIL for 2016. It bides another year of getting some guys off the books. I would not be surprised if the team signs a bevy of Starters to 1 year deals. Maybe for a little higher than usual.. Brett Anderson may fall into this as a Qualifying Offer ($15.88 MIL for a one year deal in 2016). The club can look to keep dwindling the payroll going forward towards the new CBA. I am not saying they will not spend cash if in contention. You can easily bunch up guys one year deals that have expiring contracts. Friedman will find a way. The bottom line is the 2016 Pitching Staff may not be as great as 2015, and despite potential growth in the offense, it might be a slight retraction in wins for 2016. 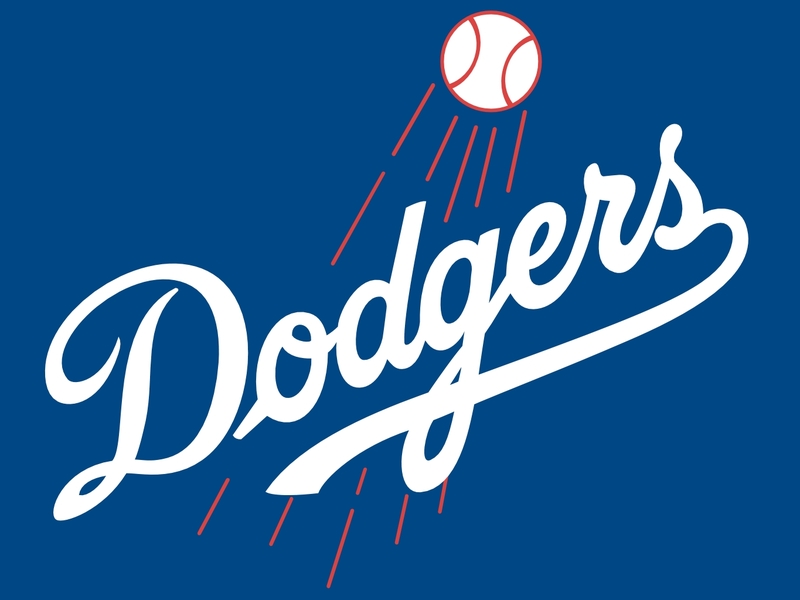 The Dodgers will pay a record Luxury Tax Penalty this year at 40% of dollars spent over $189 MIL. The total cap salary figure for the last campaign as over $314 MIL. That is about $50 MIL in fines coming forth. At a fourth year abuser in the next year, its is incumbent on the management to keep that total a lot less – with a 50% charge for every time they go over until they can hover under again for one season. I am happy to be back at the helm of the MLB Reports, after completing my record 224 Games in the MLB Trip in 2015. It was the 4th time I have seen all 30 MLB Parks since 2008. 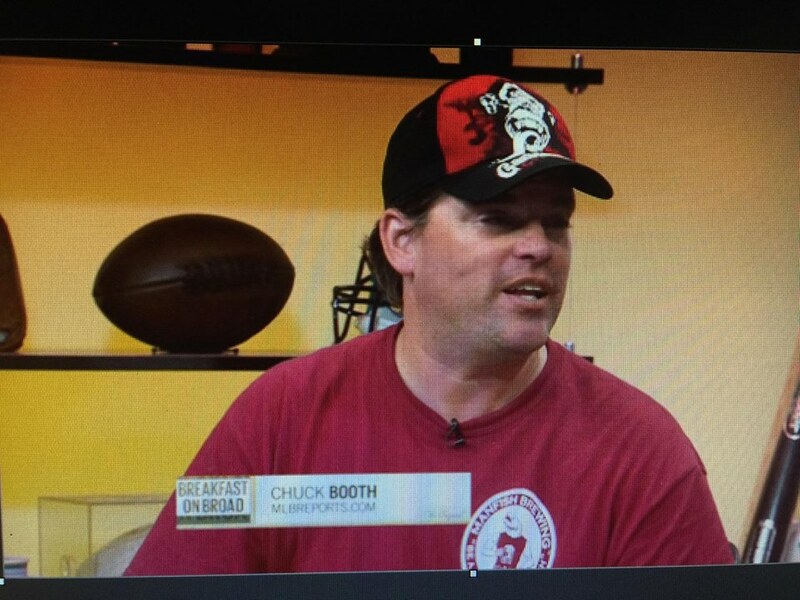 During that time away I was fortunate to do 100 Media Interviews and be named the Baseball Blogger Alliance President. Posted on November 4, 2015, in MLB Payroll and Contracts and tagged a.j ellis, alex guerrero, alex wood, andre ethier, andrew friedman, Atlanta Braves, ben zobrist, brandon beachy, brandon mccarthy, brett anderson, Bronson Arroyo, carl crawford, Carlos Frias, chase utley, chris heisey, corey seager, daniel murphy, Enrique Hernandez, eric stults, Erisbel Arruebarrena, Hector Olivera, howie kendrick, Hyun-Jin Ryu, j.p Howell, Joc Pederson, joe wieland, joel peralta, Jose Peraza, Jose Tabata, juan nicasio, justin ruggiano, justin turner, kenley jansen, lisalverto bonilla, Los Angeles Team Payroll 2016, Luis Avilan, magic johnson, matt kemp, max scherzer, Ned Colletti, nl west, Pedro Baez, scott van slyke, yasiel puig, yasmani grandal, zack greinke. Bookmark the permalink. 1 Comment.